Prior to real estate, Cheryl had a long career in Local Government—both in customer service and the building sector. Her early real estate career commenced with the Ray White Group, where she quickly gained profile and became one of their top sales agents. Cheryl was sought after by many real estate franchises—eventually being offered a partnership with the Professionals Group. 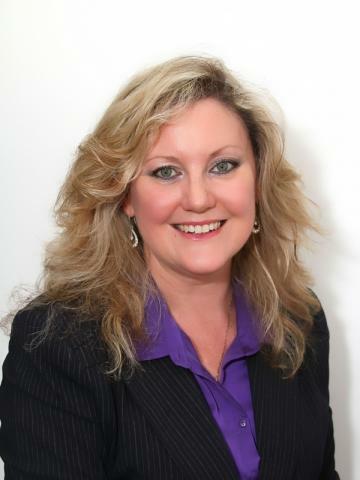 Cheryl is an award-winning sales agent who consistently achieves great results for her clients. She is a skilled negotiator and confident communicator who has a natural ability to relate to people at all levels and from different backgrounds and cultures. Situated on a massive 835m2 level block sits this big and beautiful home – with 4 bedrooms + study, expansive formal/casual living areas and 3 full bathrooms – it has a lot to offer the growing family. The downstairs is divided into 2 distinct living zones which can easily be reconfigured to suit the needs of your growing family. Whether it be casual or formal living, a rumpus room, home theatre, pool room, hobby room, or extra home office space – the potential is endless. 4 Bedrooms, 3 full size Bathrooms, formal living, formal dining/study, casual meals and casual living. This fantastic 2-storey family home has a massive flat back yard and big outdoor covered patio - perfect for entertaining. This property boasts so many great features – elevated position to catch refreshing breezes; great side access; off-street parking for the caravan, boat or trailer; short walk to city bus. Freshly painted and carpeted throughout – the home is just like new! With its contemporary open-plan design – this fantastic home is purpose-built for casual living and relaxed entertaining. The hub of the home is the contemporary kitchen – with s/s appliances (including dishwasher + wall oven); glass cook top; massive walk-in pantry, skylight and loads of bench space. There’s also a great servery feature into the spacious air-conditioned dining and living zones – which is both extremely functional and socially interactive when dishing-up or entertaining. Situated in arguably one of the best streets in Lakewood – the elevated position enjoys relaxing scenic views of the local district, Border Ranges, Mt Coo-tha and Brisbane CBD – taking pride of place in prime position at the top of an exclusive cul-de-sac within the prestigious Lakewood Estate. Access to the upper level is via a wide winding staircase or commercial grade lift with capacity for 3 persons – providing unencumbered accessibility and wheelchair capability for those in need. This stylish property is ideally suited to those looking for low maintenance family living or a sound investment. Decorated with neutral tones and a contemporary design – this property offers 2 big living areas for modern living and relaxed entertaining – with a big lounge/dining + spacious air-conditioned family/casual meals. Surrounded by contemporary homes in a popular pocket of Parkinson – this property is close to walkways and parks, and offers a lifestyle as well as a home. STYLISH RENOVATION – FEELS JUST LIKE NEW! Decorated with neutral tones and stylish finishes throughout – this property is bright and airy, and has a great feel when you step inside. Enjoy the functionality of the big open-plan design where the whole family can gather while still doing separate things – promoting a cohesive living experience for casual living and relaxed entertaining. Situated on a fully-fenced and elevated 474m2 block – with double-gated side access, lush green lawn and elevated garden beds ready for planting. If you enjoy a leisurely stroll along the lake, no doubt you’ll recognise this prominent property as one of Lakewood’s finest. Widely regarded as the best location in Lakewood Estate – this impressive home boasts a floor plan of over 497 m2 and sits proudly on a huge 890 m2 corner allotment overlooking the beautiful parklands and lake. The home welcomes you through big double entry doors into a formal entry that provides glimpses of what’s to come. All serious buyers welcome. Bright and airy and decorated in neutral tones throughout – this chić and contemporary townhouse is only 6 years old and still under builder’s warranty. Situated in a small complex in a quiet ungated community with very cheap body corporate fees of just $1219 per year. Currently renting for $370/week with great tenants on a month to month lease. This sound investment opportunity is a smart choice for savvy investors looking for quality property in the popular suburb of Calamvale. Hi Cheryl. We would like to thank you and Paradise Property Sales for handling the sale of our property in Parkinson, QLD. All aspects of the sale have been handled with a high level of professionalism. It has been extremely important to us to have someone we can trust as our Agent as we are interstate and rely totally on your judgement. Thanks once again for your patience, courtesy and outstanding service. Cheryl & Ian, we would like to say a very sincere thanks for all the help you gave us. You both helped us every step of the way and went above and beyond what we expected. Without your patience and guidance we would not now be the proud owners of a beautiful home. We would like you to have this small gift as a token of both gratitude and appreciation. We hope you have a wonderful Christmas and New Year and are now glad we have met two wonderful people. Hi Cheryl & Ian. I just wanted to pass on a really big thank you to you both for all your help with not just the sale of Mapelton, but also with the time you have given and your advice and assistance with Mum's new purchase. This has been a big step for Mum considering our circumstances, and I know that your being there to offer everything you have has certainly made a difficult or stressful task and time, that much easier. Although Mum and Dad and I have bought and sold in the past, this is the first time Mum has made this step herself for her own place, and for us being exposed to Body Corps and all that stuff, and I genuinely can't say thanks enough. Your help and friendship in this for Mum is most appreciated. Thank you for providing such a positive experience in the selling of our property at Calamvale. Given that we are in another state, and after selling two previous properties we were dreading the sale of our third. The level of professionalism displayed and communication in keeping us informed throughout the process was outstanding. As a result we would not hesitate in recommending Paradise Property Sales to others contemplating selling a property. Congratulations in upholding such great standards. We can actually say that we enjoyed the experience! We wish you continued success in the future. "Just a quick note to say a BIG THANK YOU for the prompt and efficient way in which you handled the sale of our home in Parkinson. The sale price was more than we expected and the deal completed with a minimum of fuss and stress. At all times we were kept up-to-date with proceedings, and at all times you were both most approachable with any questions that we had. The short sale time made us glad that we picked an agent who specialises in Parkinson. Over the years our experiences with various real estate agents has left us, to say the least, ''unimpressed''. Paradise Property Sales stands out on its own with excellent personal service and friendly manner. We not only discovered an agent that we would highly recommend to our friends, but also gained new friends." "Dear Cheryl & Ian, We would like to take this opportunity to say thank you for the great job you both did in selling our property in Mapelton Circuit. As well as being totally professional, honest and friendly you were always available to help with any questions we needed to know. We will most certainly be going through Paradise Property when we decide to sell our existing property, as we feel you both worked above and beyond our expectations as a real estate." "What an absolute pleasure it was to deal with a small boutique agency that kept their promises. Although it's always a stressful time buying and selling your home, Cheryl and Ian always kept us fully informed of everything that was happening, and kept the fuss to a minimum. If we ever decide to buy or sell again, we wouldn't hesitate to use Paradise Property Sales again. " "The service that I received from you was excellent throughout the time I had my unit on the market. Any query I had was answered very clearly and promptly and I would have no hesitation in recommending you to any prospective purchaser or seller. Even after I had moved, your tlephone call asking if everything had gone well was very much appreciated. Once again, thankyou for all the time and trouble that you took to ease my anxieties. I wish you both every success for the future." "2 Days, yes, 2 Days, Cheryl and Ian sold our house within 2 days of going to market, and for the money we were looking for. Your efforts and professionalism in all aspects was far more than we could have hoped for. We could not have wished for a better team to assist us. We will recommend you to everyone we come across looking to sell property. Thank you for your honesty and assistance." "Thank you for your sensitive and caring manner during the sale of our home. Despite a difficult family situation, you maintained both professionalism and empathy throughout and made this process easier for us to deal with. After only a short time on the market, you sold our property for a good price with no fuss." "From the onset of listing our property with both Cheryl Paradise and Ian Beaty we were confident that we had chosen agents wisely. They listened carefully to our requirements and offered sound advice on how best to market the property to achieve the best price possible. They sold our property quickly for a better than expected price. We could not have been happier. They worked extremely well as a team and earned our confidence quickly. Their refreshing approach and genuine interest in our needs and future plans helped us to deal better with the stress of selling and moving on. We feel that we have made new friends and will not hesitate to recommend Cheryl and Ian to any of our family and friends who may be thinking of selling their property in the future." "Cheryl and Ian sold my partner’s home in Loganlea. This followed the successful sale of my two adjoining properties by Cheryl. It obviously takes an extremely organised team who are completely au fait with the real estate market, to make you feel like you’re the only one they’re working for. Cheryl and Ian are, without question, an extremely motivated and dedicated sales team and we thank them for helping make our dream to travel Australia a reality." "I am writing to express our sincere thanks for your help and excellent agent services in selling our property at Calamvale. It is great to have a knowledgeable, passionate, accessible and dependable agent on our side. Your professional advice and responsive turnaround during the negotiation process was very much appreciated. We are also impressed by ‘your beyond the call of duty’ support including guiding the tenant in presenting the property, liaising with your rental agent, organising quotes for minor repairs and seeing it through to settlement." "Thanks for all the time, patience, tolerance and kindness you showed us. I’ve enjoyed meeting you, thanks for all your phone calls plus your professional approach." "We were impressed by Ian and Cheryl’s professional approach and positive attitude right from the start. They remained positive, keeping up our spirits when we were ready to give up, coming up with new ideas to improve our chances of selling and coming through for us as promised. Not only did they get the best price for our house but worked until the end, making certain that settlement was organised in time for us to move into our new home in plenty of time before Christmas. We could not have asked for better service and fully intend to recommend them to anyone looking to sell or purchase a home. " "Trevor and I would like to thank you for being so professional and easy to deal with when selling our property at Coopers Plains. You kept us regularly informed of progress all through our dealings with you. I think the ultimate in customer service was when you purchased a “’bath plug” to assist our sale to go through during the final inspection. Thanks again and we will definitely be in touch when we are next looking at buying or selling property." "My wife met Cheryl at an auction prior to us putting our house on the market and insisted on employing her to sell our home as she described Cheryl as being “a breath of fresh air” compared to other agents we previously met. The work, effort and energy she displayed while selling our home was just outstanding. Cheryl often had very early mornings and late nights trying to sell our old house, but not once did she lose her enthusiasm for our home. Cheryl also achieved a better than market price for our home and was able to keep that price on a 3 month contract in a declining market, which in itself was outstanding. ….. If I ever decide to sell any property I will always be certain to give a Cheryl a call. Not only is she a good sales person she is also now a friend!" "Throughout we found Cheryl Paradise to be most professional in all of our dealings. Cheryl made a comprehensive and professional presentation to us to obtain our listing over two other big name agencies. From listing to completion of sale (3 weeks) we felt at ease with her approach and professional attitude. We would not hesitate to recommend Cheryl to any of our friends or associates."